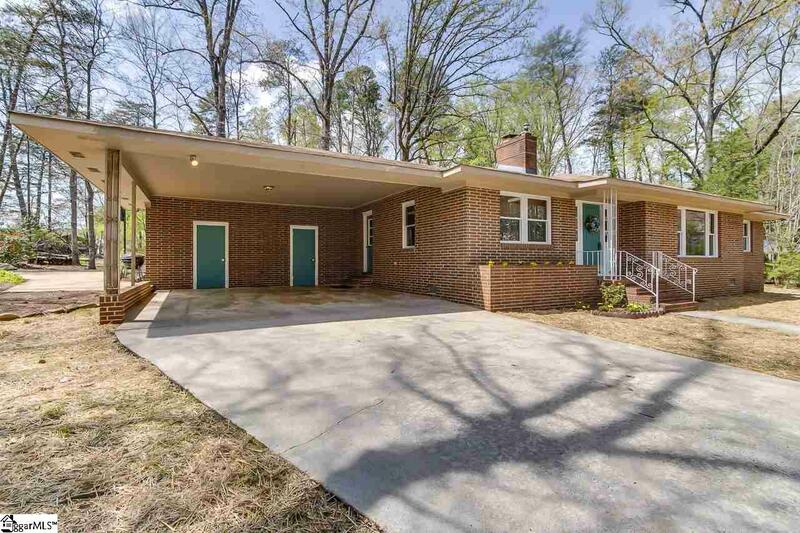 Classic cute brick Ranch with 3 bedrooms and 2 baths on nearly 1 acre wooded cul-de-sac with mature trees. 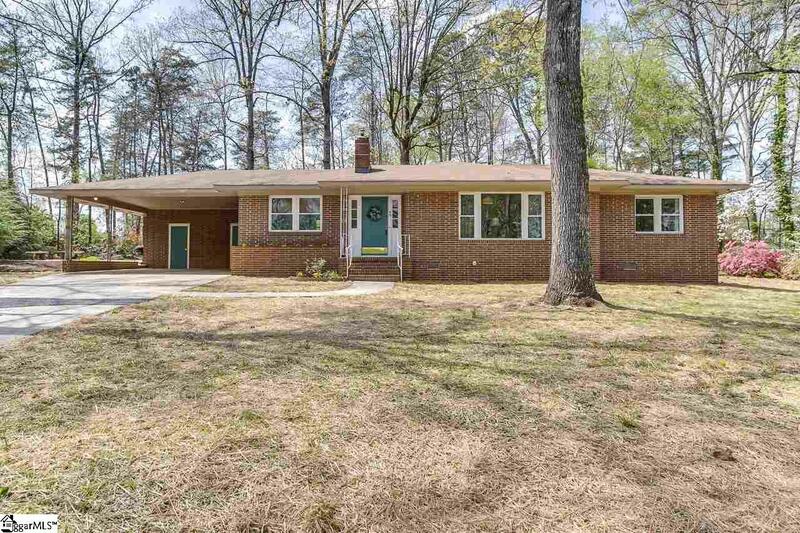 This home has original hardwood floors, 2 car carport with laundry room and workroom, side yard is park-like and you can keep your extras in the huge shed. Upgrades/updates include new light fixtures, sink fixtures, LVT travertine tile in kitchen and breakfast room and designer paint throughout. Right off the friends and family-welcoming foyer, the Living Room has ginormous triple window. Breakfast Room is spacious and bright and its focal point is the lovely white-washed brick mantel with wood-burning stove for those cold evenings or cool mornings. Kitchen has original wood cabinetry, poured-concrete-look countertops with plenty of prep and hospitality space. 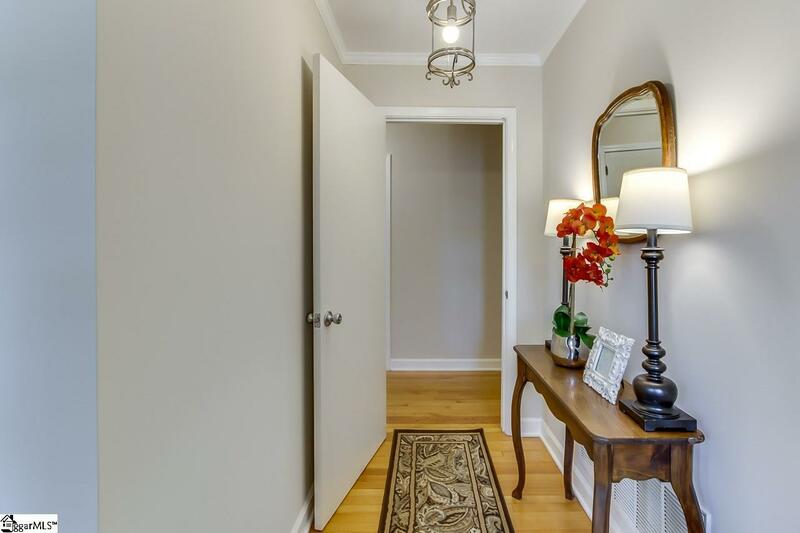 Master Bedroom is tucked at the end of the hallway, and ensuite bath has mosaic and ceramic tile, with stand-in shower. Windows and A/C unit are newer and energy efficient. 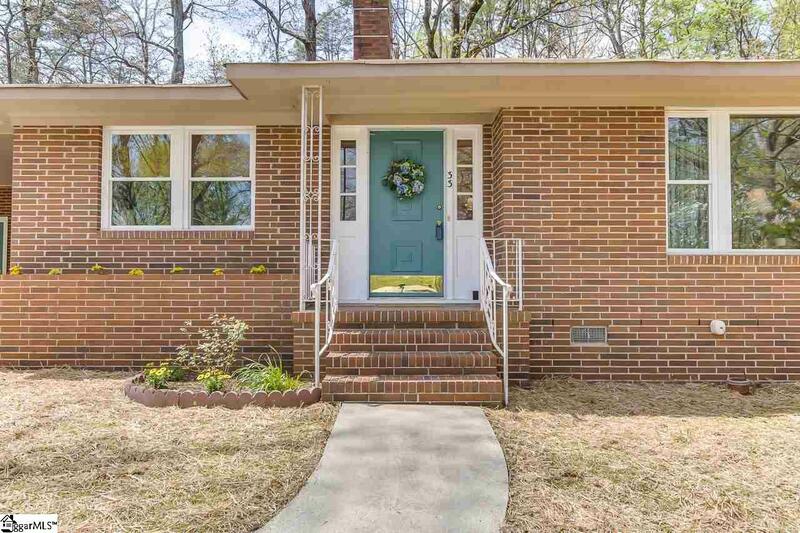 Very quaint, quiet neighborhood, 10 minutes from downtown Greenville, 10 minutes from downtown Travelers Rest and 5 minutes from Cherrydale, Swamp Rabbit Trail, and Furman. Updated, yet still retains all the charm of a retro ranch. The home youve been waiting for is now ready! Listing provided courtesy of Mark Hoyt of Keller Williams Grv Upst.